Strong upright brown stems with whorls of narrow willow like foliage. 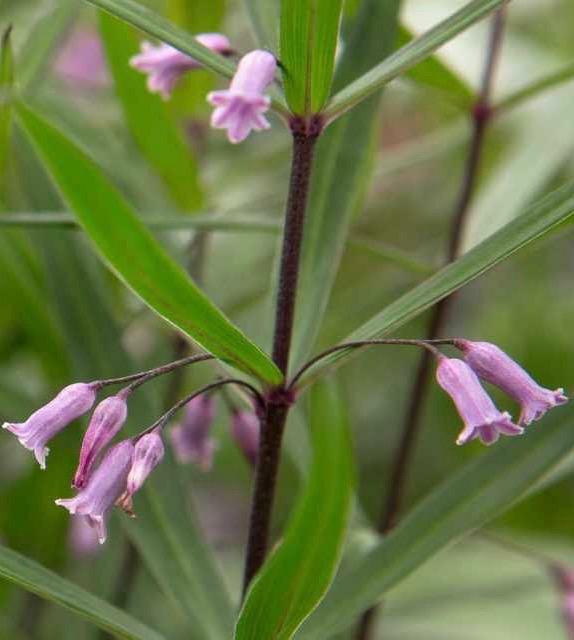 Pairs of small tubular pink flowers on long stems from leaf axils, May to June. Semi shade. 1m tall. Moist but well drained soils.